This year’s World Cup is proof, if any was needed, that we do not need FIFA’s proposed expanded format. Football’s governing body is considering introducing a 48 team tournament in 2026, which would see 16 groups of three teams as opposed to the current eight groups of four. However, seeing as we are currently experiencing one of the most exciting tournaments of recent decades, reform is even less necessary than usual. FIFA’s reasons for wanting to introduce the expanded World Cup format are that three team groups would reduce the number of dead-rubbers on which nothing depends. Similarly, there would be fewer instances on which both teams would go into games knowing that a draw would put them both through, for example Denmark vs France in this World Cup. However, the new format would not — in my view — lead to more exciting football. 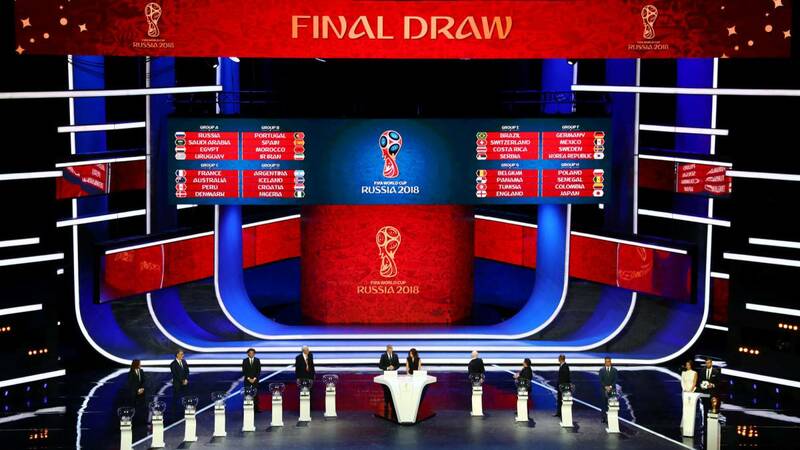 Instead, it is likely that there would be a vast number of low-scoring draws as nations would be able to calculate that a two draws in the group would be enough to send them through. As evidence of this, one only needs to look at what happened at Euro 2016, as the expanded format saw one of the least exciting tournaments I can remember, culminating in Portugal winning the tournament after just a single victory in regulation time. Therefore, those who argue that reform would lead to a more exciting competition need to compare the drab matches of Euro 2016 with thrilling encounters between Belgium and Japan, and France and Argentina this summer. Another argument for an expanded format is that a 48 team tournament would make it truly global, whereas the current competition is focused around Europe and South America. It cannot be denied that the World Cup finals are currently dominated by Europe and South America, with only Japan representing Asia and Mexico representing Central America in the last 16. However, when one looks at the sides which played in the group stages, there was representation from all over the globe. Although Egypt and Tunisia were disappointing, Morocco were seen as very unlucky and almost dumped Spain out of the competition, while only fairplay prevented Senegal from progressing to the group stage and Nigeria were only knocked out by a late Marcos Rojo winner for Argentina. Saudi Arabia and Iran both won games representing the Middle East, while Asia was represented by Australia’s admirable efforts and South Korea knocking out Germany, as well as Japan getting to the last 16, only being knocked out by Belgium coming from 2-0 down. At present, nations from all over the world are able to make a good account of themselves on the world stage, and the gap between the world’s best sides and the lower ranked teams is as narrow as it has ever been. If FIFA inject 16 more teams into the tournament who do not really deserve to be there, the achievements of the successful countries will be undermined by other sides being overwhelmed. Despite what FIFA claim the reasons are for wanting to expand the tournament, it is worth remembering that putting an extra 16 teams into the competition would raise an extra $1 billion. Now, I would never presume to cast doubt on the morality of those in charge of FIFA, but it is interesting that what they claim would improve the quality of football would also earn them a handsome income. The footballing reasons for expanding the World Cup can can be easily debunked. The quality of football is far better at the moment when teams know that a win is necessary in group matches, rather than knowing that a draw is likely to be good enough. There is not a need to globalise the tournament either, as teams from other continents have shown themselves capable of doing themselves justice on merit without being given a free pass into the tournament. It is likely that increasing the number of teams in the World Cup would not improve the quality of football, and any suggestion that it would is centred around a ploy by FIFA wanting more money. Russia 2018 has been one of the best World Cups of recent decades, proving there is no need for reform to the World Cup.